A Quiet Corner to Share Your Navy Media Recommendations with other Navy Dads & Moms. Welcome to the NavyDads Media Center ! Share your recommendations for books and other media that you think would be of interest to other NavyDads. 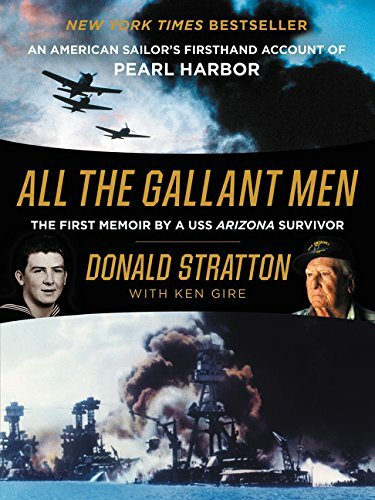 I have numerous books I've read, and recently listened to via audiobook download, that generally concentrate on WWII Navy history that tell the recent combat history of the Navy and show where many current Navy doctrines and traditions have evolved from. I find the stories compelling and make me even more proud to have a daughter that is a Navy veteran and a son on active duty and part of this long tradition of service. Won't you share your recommendations as well? You need to be a member of NavyDads Book Nook to add comments! so far - Excellent !!! We know the iPhone as the device that transformed our world, changing everything from how we talk to each other and do business, to how we exercise, travel, shop, and watch TV. But packed within its slim profile is the fascinating, untold story of scientific, technological, and business breakthroughs--global in scope, sometimes centuries in the making, and coming from vastly different disciplines--that enabled Apple to create the most profitable product in history. For all the time we spend swiping, tapping, and staring at iPhones, you think there would be few things we didn't know about these gadgets. But think again. is a Magic School Bus trip inside the iPhone--traveling into its guts, peeling back its layers, and launching explorations that take us to the driest place on earth and a Mongolian lake of toxic sludge, down the Silk Road, into 19th century photography, and all the way back to Cupertino, California, where members of the original design team reflect on the earth-shattering work they did. As multifaceted as the invention it follows, The One Device is a roving, wide-lens approach to tech history that engages the imagination as it explores the marvel of engineering that millions of us use each day. Thank you. It was quite sudden, which makes it a bit harder. So very sorry for your loss Val. Prayers out for strength during this difficult time. Currently listening to: The Vaccine Race: How Scientists Used Human Cells to Combat Killer Viruses by Meredith Wadman. Part way thru Alan Turing: The Enigma by Andrew Hodges. That is tough going as Hodges is a British author and he's kinda hard to read. What sort of tech/biomed/medical stuff? I have been off my reading, as I just lost my mother unexpectedly. I had been reading a young adult series I had never read, and some old sci-fi (Asimov). I've moved away from military stuff for awhile....kinda back to my roots so to speak and have been reading/listening to tech/biomed/medical stuff recently......how about everyone else? What have you all been reading? there is a discussion in the book very close to that....talking about "Crazy Ivan's"---not exactly like the movie but pretty crazy! Just finishing the section about Tautaug: This is from Wiki- On 20 June 1970, Tautog was patrolling the North Pacific Ocean near the city of Petropavlovsk-Kamchatsky, on the Soviet Union's Kamchatka Peninsula, which was a major base for missile-armed submarines of the Soviet Navy. Tautog was attempting to trail the K-108, a Soviet Navy Echo II-class guided missile submarine nicknamed "Black Lila". The Soviet submarine was "close aboard" with Tautog, unaware that Tautog was in the vicinity, and the two submarines were within feet of one another for a lengthy period. Unable to determine the depth of the K-108, as new depth-finding hydrophones had not yet been installed, the American submarine was at a disadvantage in such close quarters. At some points the hydrographic equipment aboard Tautog registered zero distance between the submarines. At another point "Tautog's" hydrophone operators assumed the K-108 had risen to near the surface, placing the Soviet submarine directly above Tautog. Then the operators determined the Soviet vessel was descending. The trace on the oscilloscope, that gave the American submariners at visual reference as to the distance of the K-108, disappeared. Just as the captain began to say the Soviet sub was coming close aboard again, K-108 slammed belly first into the top of the Tautog's sail, proof the Soviet vessel had been descending from directly above. The K-108's massive screws came into contact with the steel of the Tautog's sail and lost one screw. This was confirmed by hydrographic sound of a turbine running away aboard the Soviet sub, being no longer coupled to a propeller.Tautog suffered damage to her sail. As Tautog proceeded away from the site of the accident, her crew heard what they believed was K-108 breaking up and sinking. When Tautog arrived in Pearl Harbor, a large portion of one of K-108's screws was found embedded in her sail. Over thirty years later, after the collapse of the Soviet Union, it was revealed that K-108 had actually been able to return to Petropavlovsk-Kamchatsky. The former captain of the K-108, Boris Bogdasaryan, was able to provide a concise narrative of the collision. The collision resulted in no casualties aboard either submarine. "You gotta know when to flinch."